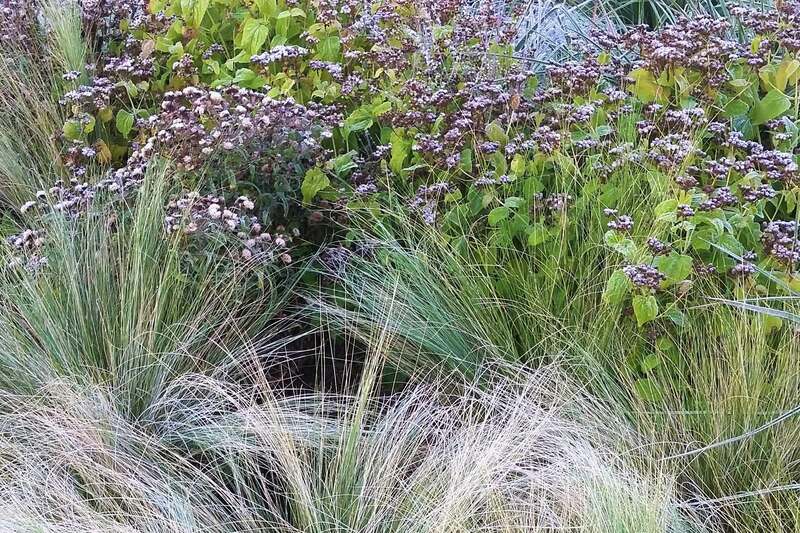 The overall program for the Pennsylvania Studio Garden was to create a dynamic composition of herbaceous plants and to engage guests in an immersive garden experience. 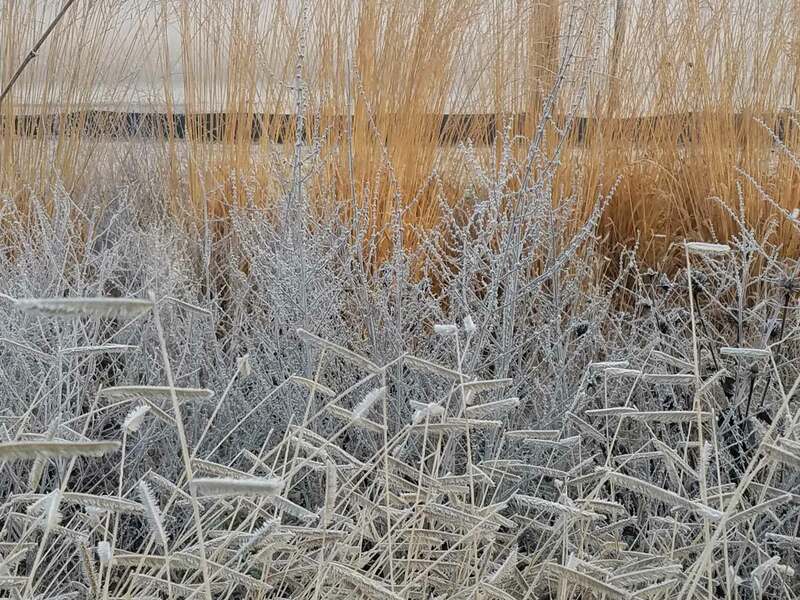 Plants were carefully selected to showcase the beauty of individual textures and color of not only flower but the color of foliage in winter,spring, summer and autumn. 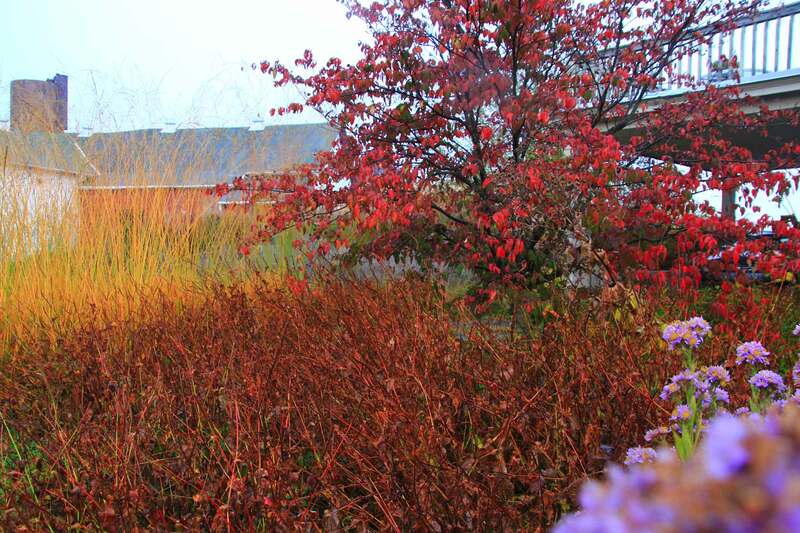 Guests visiting the studio are compressed in space between the architecture of a 100 year old stone farmhouse and emergent perennials that command attention. 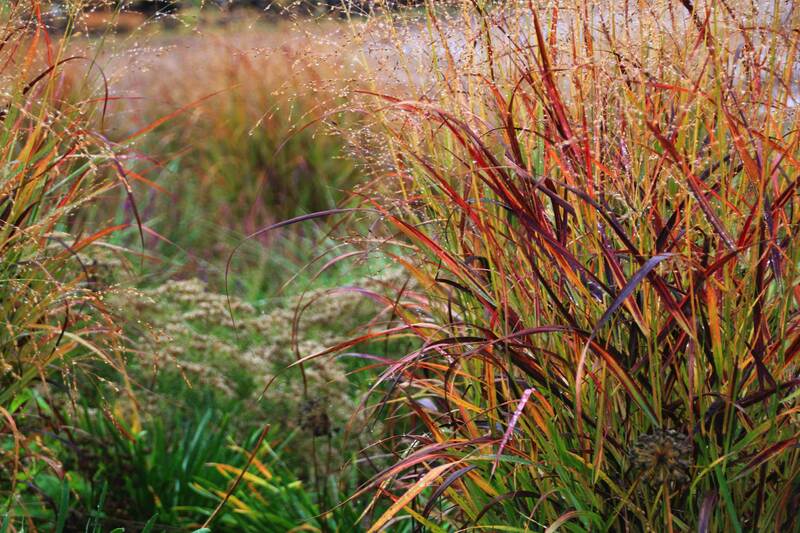 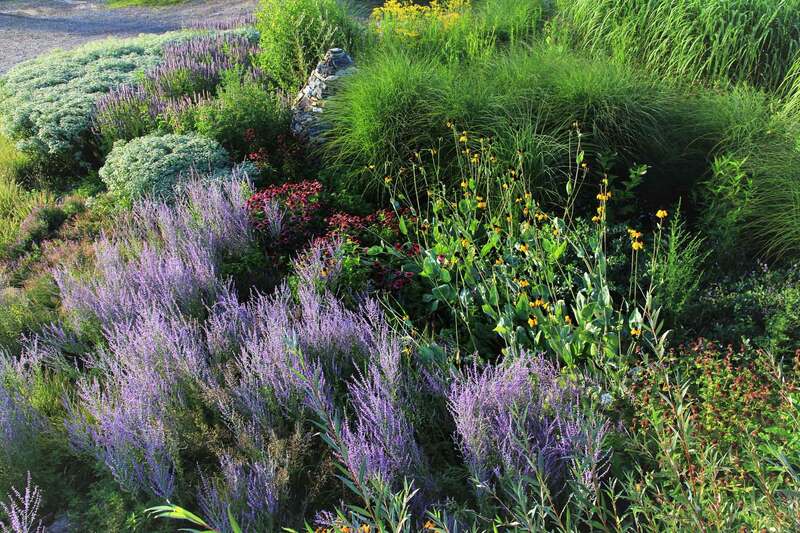 Blocks of perennials create a stylized wildness evocative of the regional landscape to which it belongs.